Evacuated During Hurricane Harvey? Here Are 8 Legal Rights to Help Get Your Kids Back in School Immediately. Like tens of thousands of Texans, my family evacuated during Hurricane Harvey. I know that getting our neighborhoods and cities back to normal will take time. In the near term, however, one of the best things to help our kids feel closer to normal, is to get them back in school. Admittedly, the first days after leaving our home, school was not on my mind. But school was the first thing on my daughter’s mind. Two days after we evacuated, we made it to my brother’s house in Austin. The next day, I enrolled my daughter in the local public school under a federal law known as the McKinney-Vento Act. The law guarantees homeless students -including students displaced after a hurricane- the right to continue in school. For my daughter, things were not exactly normal, but going to school helped. 1. You have the right to enroll your kids in school immediately. Both federal and Texas law provide your children with the right to go to school, no matter where you and your family are staying. If Harvey forced you from your home, you have a right to enroll your kids in their former school or the school serving your current location. In fact, in Texas, you have the right to enroll your child in any school district in the state. You do not need to bring any particular documents or proof of any kind, and the school must enroll your child immediately. 2. You can choose where to enroll your kids. If the storm has forced you to move outside of your original school attendance zone, you have options on where to enroll your children. You may enroll your children in (a) their school of origin (their original school, pre-Harvey), (b) the school zoned for your temporary housing or shelter or (c) any school district -but not necessarily school- in Texas. Let’s take these options one at a time. (a) You can send your kids to their school of origin. If you have been displaced outside of your home school zone, but you are still local enough that commuting to your school of origin makes sense, you can continue to send you children to their original school. The federal law presumes your children’s school of origin is the best school placement. There are limited exceptions to this, but as long as that is where you, as the parent, would like your children to return and the school is open, they can return to their school of origin. So, if your kids were happily attending school before Harvey, but you are now outside of your home school zone, your children can continue to go to their original school. (b) You can send your kids to the school zoned for your temporary housing. The McKinney-Vento Act also allows parents to send their children to the local school serving the area in which they are temporarily living. If for example, your family ended up in Austin and is staying with your brother, a three plus hour commute to your children’s local school of origin may not make much sense. But you can send your kids to temporary neighborhood’s local school. Your children may go to the local school zoned for your temporary housing, wherever that may be. There is also a Texas specific law that provides you with the right to enroll your children in any school district in the state. As long as you are without a fixed, regular, and adequate nighttime residence or living in a shelter or FEMA provided housing, you can send your kids to any school district. The difference under state law, however, is that the school district may choose the local school your child will attend. And this option does not provide you with the transportation rights under the federal law, as explained below. 3. 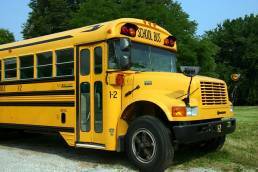 Your children have the right to school transportation. If you choose to send your children to (a) their school of origin or (b) the school serving your temporary housing location, the law guarantees your kids the right to transportation to and from school. The school district must come up with a transportation plan for your kids, even if you are no longer staying within the school district boundary. Transportation is guaranteed in the same manner as it would be for students with permanent housing in the district and as long as such travel arrangements are in the best interest of your child (For example, it may not be in a child’s best interest to endure a three plus hour bus ride to and from school). 4. You do not need to have ANY documents or records to enroll. The law allows you to enroll your children in school without the usual required documents. That means that if you have been displaced and do not have immunization records, proof of residency, birth certificates, grade reports or any other type of record, the school still must enroll your kids immediately. 5. 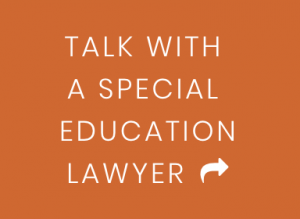 FAPE must continue to be provided for Students with Disabilities. Even when students are displaced, school districts are required to immediately provide a free and appropriate public education (FAPE). When students with a disabilities enroll without current ARD documents or other special education records, the school must use whatever information is available to them to develop an appropriate program. The school should work with you, as the parent, to gather whatever information it can about previous special education plans, services and needs. 6. English Language Learners must continue to receive services. Displaced students who are also English Language Learners have a right to continue receiving ELL services. Just as children with special education needs, English Language Learners do not need to provide school records to continue in a language program. The school should work with you and your child to put in place an appropriate ELL program based on all known information. 7. Your kids can receive free school meals. 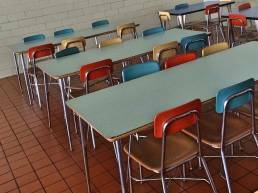 As displaced students, your children may benefit from the school’s free lunch program. The law waives any application or income requirements. Your children automatically qualify for the meal service. 8. You can get help if you have any problems with enrollment or services. 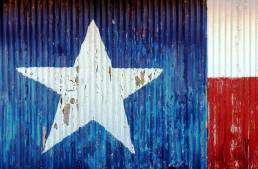 As a displaced family, the McKinney-Vento Act provides a number of rights. It also provides a way to get help excessing those rights. If the school is trying to delay enrollment or there is otherwise a disagreement that can not be worked out with the school administration, every school district has a contact or liaison to help. The liaison will assist displaced families with the school enrollment process and work through any disputes that may arise with the local school or district. In addition, the liaisons should be aware of relief efforts and resources in your area. The contact information for the liaisons working with the largest school districts in Texas is listed below, but you may find details for the liaison in any Texas school district at http://www.theotx.org/liaison. Lastly, the Texas Homeless Education Office is a great place to start if you are looking for additional information or simply have a question about displaced students. You can call their hotline at 1-800-446-3142 or visit them online: http://www.theotx.org.